Do you know OxyMask is one of the bestsellers on BeautynMe? 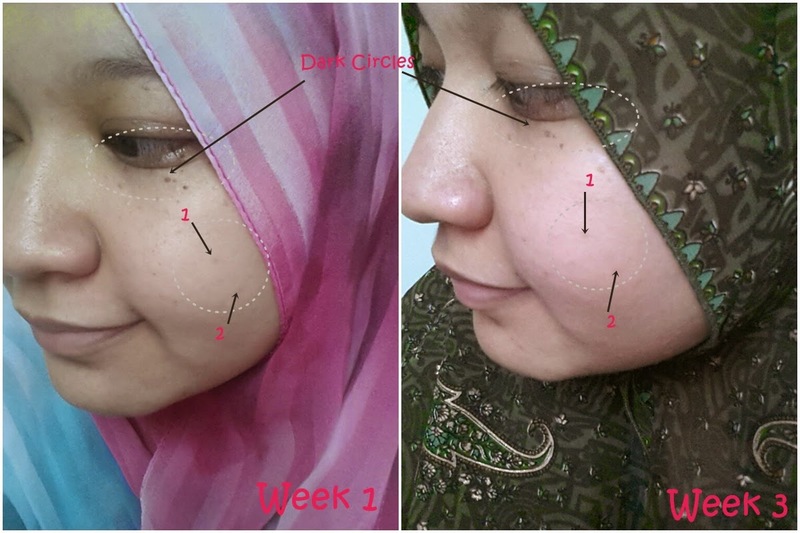 From overall picture of Week 1 and Week 3, you could see my dull skin is brighter and more pinkish now! My dark circles also becomes less visible, especially right after application. And from the number (1) and (2), you can see the dark spots on my skin has clearly becomes lighter. And more over, the fresh smell of the mask is calming somehow for me. Love the bubbles that formed when I apply them on my skin. P/S: You can check out others review for product sent from BeautynMe by clicking the links that I've put on the sidebar!